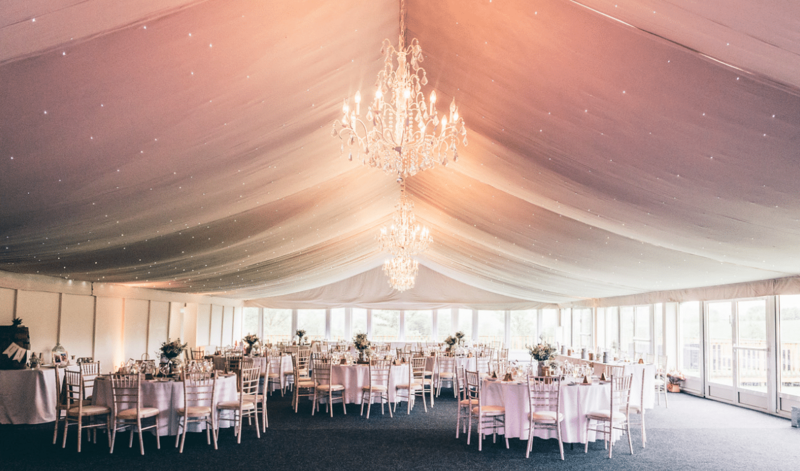 Our beautiful permanent marquee here at Shottle Hall has panoramic views over the open countryside and combines a traditional stone built coach house with a state of the art luxury marquee. Crystal chandeliers, starlit ceiling, separate lounge, and a fabulous bespoke bar, all combine to add a touch of vintage elegance to your wedding day. The marquee benefits from underfloor heating, solid walls, and glass windows, meaning we can offer marquee weddings all year round. We are fully licensed for civil ceremonies and can cater up to 80 people inside The Coach House Ceremony Room, or if the weather allows then take advantage of our gorgeous outside ceremony space.